We were contracted by the City of Liverpool to stage a major display celebrating the city’s 800th birthday. As a World Heritage Site we needed to take extra special care to protect buildings on which the display was to be staged. Our brief was to direct and produce a display which reflected the city’s culture and history. It would be seen on TV, the web and newspapers by millions around the world and entertain an estimated audience of more than 150,000. The show, which was choreographed to a specially created soundtrack, was staged at four locations, on the rooftops of the city’s two cathedrals, on the waterfront and on a barge on the Mersey. 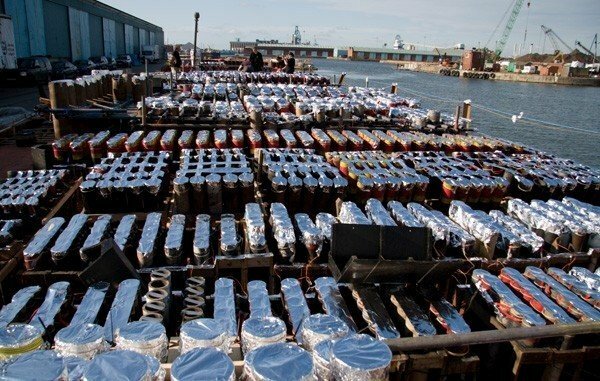 It consumed 40 tons of fireworks, employed a firing team of more than 100 personnel, and was fired using the FireOne computer firing system. Liverpool 800 took two years to plan and 20 minutes to deliver. 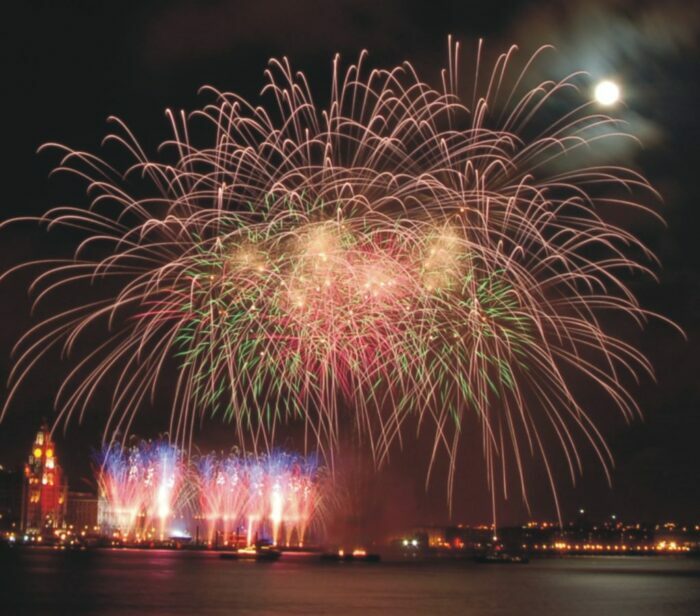 An estimated audience of 100,000 people, watching from vantage points across the city, witnessed 20 magical minutes of awesome pyrotechnics to help celebrate Liverpool’s 800th anniversary. Liverpool’s two Cathedrals (the Metropolitan/Catholic and Anglican) and a large stretch of its famous waterfront erupted with shards of light and colour piercing the moonlit skies, creating one of Liverpool’s most memorable moments in what was Europe’s largest display of the decade. The show featured 3,200 cues and consumed over 19km of command and firing cable. Rigging started on the Saturday for a Tuesday evening show. Budget-wise, at £250,000 this was the largest single show that Fantastic Fireworks has carried out in the 22 years since the company was formed. Display director Steve Boothman received a loose brief for this project: the show had to encompass ‘the city’ and to be seen from as far and wide as possible. From this, an extravaganza was designed and created that would amaze the thousands of spectators. Boothman evolved a theme for the display that extracted the best elements from the previous four years of the company’s shows in Liverpool. He worked on producing the music track with Alistair Stirling from Radio City radio station, who mastered the final mix from a rough cut. Taking the two Cathedrals as the high altitude starting points, Boothman decided to utilise a 250m area between the Isle of Man ferry terminal to the National Museums excavation site. This involved getting permission to access several building sites. The jewel in the crown of the design was the barge and its heavy artillery. Images were important, and the show had to be balanced so spectators all across the city could get a good view – even if they could not see all the four elements at once. Show designer Dave Mannion added some cool colour references into the show which started and ended with Beatles tracks – ‘Happy Birthday’ and ‘Sgt Pepper’s’ respectively. For the Sgt Pepper’s section he wanted to mimic the classic album cover colours, and for ‘Lucy In The Sky With Diamonds’ he had an interesting time researching psychedelic art. Coldplay’s ‘Clocks’ was graced with some subtle gold, glittery effects, while some of the best choreography came courtesy of Björk’s ‘It’s All So Quiet’, which showed off the FireOne system’s split second timing to great effect. Some special fireworks were ordered in from China and Spain, and for the initial birthday section, shells spelling ‘800’ shot up into the air. All the sites had their own challenges. The distinctive Metropolitan Cathedral (seat of the Archbishop of Liverpool) needed some intense rope access work to place the devices onto the tent-shaped spire. The explosives had to be pulled up to the top of the approximately 250ft high spire in small quantities, a delicate operation that involved people loading up the pulley system on the altar below. These were then hauled up and through a small access hatch in the spire floor directly above the altar – accessible only after an external climb up the spire. The Cathedral’s bell tower is one of the tallest in the world, rising to over 100m – it houses the highest (66m) and heaviest (31 tonnes) ringing peal of bells in the world – which the Fantastic team became well acquainted with, especially on showday, when they rang from 10a.m. to4p.m. – making an already challenging environment even tougher to work in! The Waterfront was actually three separate areas, each sub-divided into three zones, all identical in the layout of effects, and working together for the show.furniture lift, as weight restrictions prevented cranes, cherry-pickers or heavier lifting apparatus being used on site. 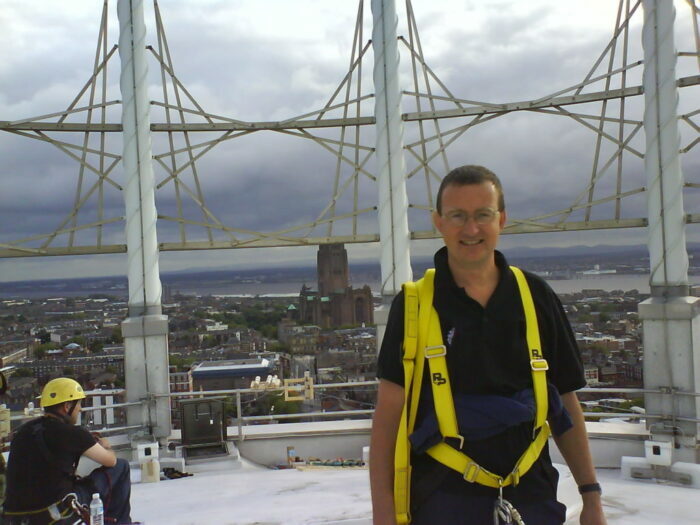 The 21 crew working on the Anglican Cathedral (seat of the Anglican Bishop of Liverpool) were led by Andy Howarth, who worked with three senior firers – one supervising the top of the Tower and one each for the East and West roofs. A crane was employed to lift the explosives up onto the roofs and they were distributed to each of the three areas from there. Although personnel access was greatly helped by lifts, navigating the equipment and crew through the labyrinthine maze of tiny interconnected passages and staircases within the bowels of the building was a complex challenge! The creative mission of the Waterfront sites was to provide lower-level cover and elements complementing the higher aerial effects coming off the Cathedrals andFantastic installed a ‘back-to-back’ radio talkback system for the show which was used to transmit the FireOne FSK (Frequency Shift Keying) timecode. It’s an older timecode protocol, well known for its robustness, which can be transmitted across any medium (including analogue phone lines) and over long distances; for obvious reasons it has been appropriated by the pyrotechnics industry. 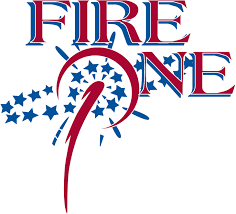 Boothman reveals that they had plenty of communication with Dan Barker of FireOne in Pennsylvania whilst they were engineering the control system. This also had to be interfaced with the audio and lighting, which work on different timecode systems. Sometimes you feel lucky. That night in August was perfect in every way. A clear, warm and sunny day, turning to a clear, still and warm evening. We even had a full moon. The auguries were good.